The Centre for Jazz and Popular Music at UKZN will present a special edition of the ever-popular Piano Passions concerts, which are characterised by a programme of short sets by formidably talented pianists. This concert is a belated birthday concert for Professor Darius Brubeck who turned 70 last year. He headlines a roster of former students and highly individual piano stylists including Melvin Peters, Andile Yenana, Neil Gonsalves, Nishlyn Ramanna, Debbie Mari and Burton Naidoo. 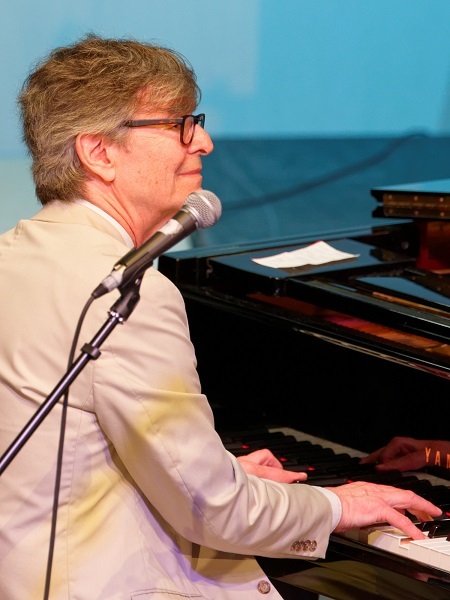 Born in San Francisco, jazz pianist and composer Darius Brubeck grew up in the artistic milieu of his famous father, Dave, and has enjoyed a lifetime of varied international experience as bandleader, composer and academic. In 1983 he founded the first degree in Jazz Studies in South Africa at the University of KwaZulu-Natal and later created the Centre for Jazz and Popular Music. Together with Ben Pretorius of the Rainbow Jazz Club and Restaurant, they established the Ronnie Madonsela Scholarship for Jazz. This Scholarship has helped many past and present students. Moving to England in 2006, he now leads the Darius Brubeck Quartet with London-based musicians as well as Brubecks Play Brubeck with his US-based brothers. Both groups tour extensively in Europe, the USA and South Africa and perform annually at Ronnie Scott’s famous jazz club in London. This year the Quartet has already played in Poland and Sicily and will appear at numerous venues in the United Kingdom. Two of Darius’ compositions are included in the ABRSM (Royal School) piano syllabus. April is Jazz Appreciation month and the Centre for Jazz and Popular Music is happy to have the opportunity to launch its programme of events for the month in such fine style. The concert will be held at the Howard College theatre so as to enjoy use of our recently-refurbished Steinway pianos. Piano Passions takes place at Howard College Theatre, UKZN, on April 6 at 19h00. Admission R100 (R80 pensioners, R50 students). All proceeds accrue to the Ronnie Madonsela scholarship which celebrates its 30th anniversary this year.